The Supply Line sell to major oil & mining companies and merchants worldwide and have a solid reputation as a fast track supplier of quality stock. We can supply your needs from stock as well as from our overseas sources. We represent numerous major manufacturers and can quote on all your needs, specialising in high & low pressure ball, gate, globe, check & plug valves as well as actuators, flanges, tube fittings, insulation joints etc. We now also hold large stocks of certified flanges up to 2500#, and API 3/5000, fittings up to XXS. The Supply Line is linked by our fully integrated computer system enhancing a quality control program (ISO9002 / AS29002). 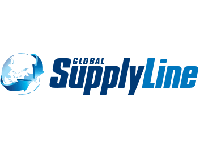 The Supply Line is a specialist supplier of valves as well as oilfield and pipeline equipment. Our standard quality system offers certification for all certifiable product. The Supply Line can source the item you need utilising our data base of 20,000 items held by our self and other major stockists in Australia and world wide. This website lists our range of imported valves & specialty products made to API & BS specifications by ISO9001 accredited manufacturers. As Australia has removed duty on most types of valves, it is emerging as the "New Singapore" with Adelaide as the most centrally located supply point in Australia. This has allowed The Supply Line to break in to the lucrative Asian Market. We provide the world's largest valve stock range. We pride ourselves on our quality products and wealth of knowledge of the industry. Get in touch with us today to see how we can help you.